The arbitration team of Sayenko Kharenko acted as counsel and Ukrainian law adviser in over 15 arbitral proceedings under a variety of institutional rules, including those of the LCIA, ICC, CAS, GAFTA, ICAC at the UCCI. The firm has been involved in some high stake and sensitive disputes arising out of the recent political turbulence and military conflict in the country. The team helped clients deal with a new set of challenges including the enforcement of collaterals related to the assets in the Crimea and ATO area, force majeure issues as to the performance of contracts in the ATO area. The team was enlisted for investment arbitration advice and has been advising on risks and perspectives of investment arbitrations related to business operations and investments in Crimea. The firm has also demonstrated a successful track record of arbitral awards enforcement in Ukraine. For example, the team recognized and enforced the arbitral award of the Korean Commercial Arbitration Board on debt collection under the reinsurance contracts including pre-and-post award interest. 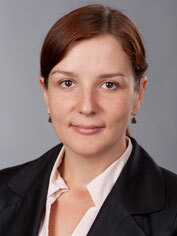 Dr. Tatyana Slipachuk, FCIArb, C.Arb, is the most well-known practitioner in the arbitration community. 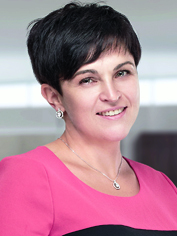 In 2014 she was appointed an arbitrator from Ukraine to the International Centre for Settlement of Investment Disputes (ICSID) and acted as an expert in Ukrainian law issues in several arbitral and foreign court proceedings. Olena Perepelynska,FCIArb,is recognized expert and received multiple appointments, including as presiding and sole arbitrator in domestic arbitrations. 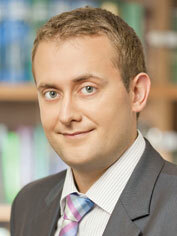 Oleksandr Droug, associate, is another strong professional of the team. AstapovLawyers international law group has the sizeable team of 25 practitioners. The group is point to go for many top national and international clients. Moreover, with a strong representation in Moscow, the group is often attracted by Russian clients as an arbitration counsel. Among the recent work highlights is representation of Nemiroff in several disputes worth over USD 400 million referred to the LCIA arbitration arising out of breaches of the shareholders’ agreement. 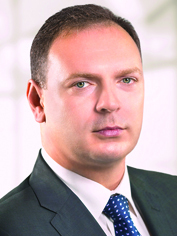 Oleh Beketov, partner and head of international litigation department, handles corporate and post M&A disputes in LCIA. In 2014 he represented Delta Bank in a dispute under LCIA Arbitration Rules against Mr. Arkadiy Malamud. Eugene Blinov, partner, head of international arbitration department, is dedicated on commodities arbitrations, notably GAFTA and FOSFA, as well as VIAC, LCIA, ICAC Ukraine and Russia. 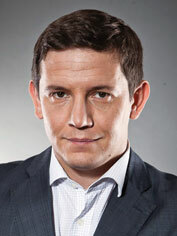 Andrey Astapov, managing partner, is the head of dispute resolution practice. In spite of being knownfor handling commercial and commodities arbitration, in 2014 ARBITRADE strengthened the niche aspects of its arbitration practice, such as investment and sports arbitration. The firm became involved in an investment arbitration case at the ICSID, working alongside UK law firm Volterra Fietta. ARBITRADE also played a key part in the pre-arbitration settlement of a sports dispute with regard to the jurisdiction of the Ukrainian Chess Federation over Crimea. The lawyers acted as experts in an arbitration case at the London Court of International Arbitration, and are currently acting as representatives of an investor in a dispute against Ukraine at the ICSID. Among others, the major clients are City-State N.V., Praktyka Asset Management Company, EFKO, Edible Oil Trading LLP, Exoil Trading S.A., Skaneja. Yuliya Chernykh demonstrated a significant number of appointments as an arbitrator, both in Ukraine and abroad. In 2014 Arzinger significantly added a number of sound high-value disputes to its arbitration caseload. Among other things it acts as an arbitration counsel to the government of Ukraine in the ICSID. The firm became involved in a number of sensitive cases recently, investment arbitrations and large-scale commercial disputes. The team currently handles a variety of arbitration proceedings under the rules of ICSID, LCIA, ICC, UNCITRAL, VIAC and others. The 13-lawyer team is led by partner with a strong academic background, Markian Malskyy, head of alternative dispute resolution practice and the firm’s West-Ukrainian branch. His presence is becoming an increasingly prominent one on the domestic market. 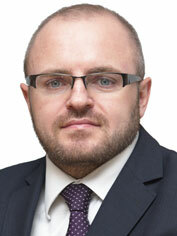 Senior associate Volodymyr Yaremko became the head of international arbitration in the Kiev office. The sizable team of Egorov Puginsky Afanasiev & Partners Ukraine is enlisted for a number of commercial, investment and sport arbitrations. For instance, the firm has been chosen by the International Olympic Committee to participate in the Pro bono Lawyers Program for Sochi 2014 Olympic Winter Games Program. Overall, the firm handled two out of four cases heard by the CAS ad hoc Division for the Olympic Winter Games in Sochi. The firm handled representations of football player Cristobal Marquez Crespo of Football Club Metalist, Argentinean freestyle skier Clyde Getty and alpine skier Maria Belen Simari Birkner. The team, as led by experienced partners Serhii Sviriba and Markiyan Kliuchkovskyi,stands out for long-lasting representation of the State of Ukraine in various international disputes. Counsel Dmytro Marchukov is another visible team member. The respected domestic firm Grischenko & Partners is referenced by peers foritsdiligence and reliability. Over the years the firm has built a sound track record in representing the Ukrainian state in investment disputes. As a mainstay of investment arbitration the team in cooperation with King & Spalding has managed to get a favorable decision in a USD 1 billion international investment arbitration suited by JSC Tatneft (Russia) against the State of Ukraine; and represented the State Enterprise Energorynok in investment lawsuit against the Republic of Moldova according to the Energy Charter Treaty. Experienced and respected Sergei Voitovich is constantly named by arbitration colleagues. High volume corporate and shareholders disputes is a mainstay of Avellum Partners. The firm also became involved in an increasing number of commercial arbitrations. The 5-lawyer team represents a high net worth individual, one of the shareholders in a complex multi-party shareholders’ dispute in connection with the management and operation of a large Ukrainian agricultural holding against a sovereign wealth fund in the ICC arbitration; represented one of the largest Ukrainian producers of fish and fish products, Interrybflot, in the LCIA arbitration proceedings arising out of the ISDA Agreement against a member of a leading emerging markets investment bank in connection with a number of allegedly unauthorised transactions executed on behalf of the client. 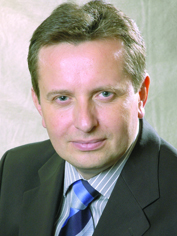 Kostiantyn Likarchuk is a lead partner. CMS Cameron McKenna is praised by the arbitration community by the strong performance of its team members. The Kiev office is a top counsel for energy matters and is enlisted for relevant disputes. The sound international investment arbitration initiated by major oil company Tatneft against Ukraine in relation to an over an illegal takeover of the oil refinery Ukrtatnafta in 2007, where the firm, acting as an expert on Ukrainian law issues for the claimant, has been awarded USD 112 million in damages following the decision that Ukraine had acted unlawfully. Senior associate Sergiy Gryshko and senior partner Olexander Martinenko are the main force of Kiev CMS. The team was strengthened with the arrival of new partner Olga Vorozhbyt in July 2014 to develop the litigation and compliance practice. Established in August 2014 the law firm AEQUO set practice of international arbitration out of six associates, partner and counsel.Selected highlights of the caseload include representing a major Latvian bank in an investment dispute under the Latvia — Ukraine BIT; representing a Belize holding operating a network of fuel storage facilities and gas stations in Ukraine against a Cyprus company being a part of a large oil and gas group of companies in a LCIA arbitration dispute; representing a Cypriot subsidiary of a Ukrainian media holding in arbitration proceedings before the International Commercial Arbitration Court at the Chamber of Commerce and Industry of the Russian Federation against a Russian production company in an IP and media dispute. 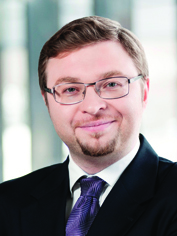 Counsel Pavlo Byelousov is experienced in international arbitration and cross-border litigation with a special focus on investment, energy and commercial disputes. The practice is overseen by Oleksandr Mamunya, partner, head of dispute resolution and IP. With its market legacy in dispute resolution capacities, Vasil Kisil & Partners acted predominantly incommercial arbitrations, notably related to agricultural, energy and metallurgy clients. Throughout the past year the team handled a number of commodities arbitrations, inter alia, represented European agrarian group in GAFTA proceeding against subsidiaries of a major Ukrainian agrarian holding; represented multinational agriholding in FOSFA proceedings. The firm acted as a Ukrainian arbitration counsel to the beneficial owner of ferroalloy holding in a shareholder dispute considered under LCIA rules. 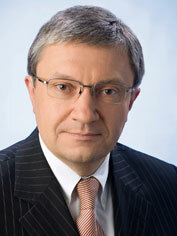 After the departure of the group of lawyers for AEQUO, the practice is led by partner Oleg Alyoshin. A long-standing force in commodities arbitration, the domestic law firm AGA Partners represents a wide span of top agrarian market players. The project portfolio concerned GAFTA, FOSFA and LMAA cases, and its recent aggregate value is up to USD 50 million. Aminat Suleymanova, Ivan Kasynyuk and Irina Moroz are key members of the team. Dispute resolution that includes both litigation and arbitration is the engine of ENGARDE attorneys at law.The arbitration practice is known for handling complex multimillion disputes before various arbitration institutions and rules. The team is currently engaged in complex arbitration disputes (notably in the International Chamber of Commerce, Paris) representing Ukrainian clients of a national scale. 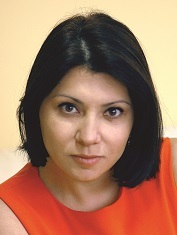 Irina Nazarova is a leading light in the international arbitration practice. She has been included in the list of arbitrators of the Georgian International Arbitration Centre (GIAC). Baker & McKeznie acts for clients in a variety of disputes. The Kiev office’s international arbitration track has of late been devoted torecognition and enforcement of foreign arbitral awards. Ihor Siusel, partner,head of the dispute resolution practice group, represents local and foreign clients in commercial, real estate, construction, corporate, IP, tax, customs, labor, insurance, loan, maritime, aviation, telecom, product liability and bankruptcy disputes, including complex cross-border disputes. Given its dedication to energy, industrial and banking clients, Asters was used as an arbitration counsel for a number of high-profile disputes. Key arbitration practitioner Yaroslav Petrov was promoted to counsel. Peers point to his professional approach in recent arbitration cases. 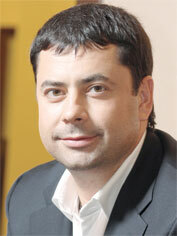 The practice is overseen by managing partner Oleksiy Didkovskiy. Lexwell & Partners have shown presence in the arbitration arena. In particular, the firm, as led by managing partner Andrey Kolupaev, is engaged in a high profile USD 1 billion case before the LCIA, relating to valuable ferroalloy assets located in Ukraine and is a part of a global litigation campaign. Moreover, the firm acts as a local counsel for the Ministry of Justice of Ukraine in a dispute initiated by an investor against Ukraine at the ICSID. The Ukrainian brunch of Gide Loyrette Nouel demonstrated involvement incommercial arbitrations, and was instructed by Vamed Engineering, I-TEK, Caussade Semences, Saaten-Union GmbH, Domke Engineering. The firm carried out representation of VAMED ENGINEERING in the International Commercial Arbitration Court of the Ukrainian Chamber of Commerce and Industry as well as in Ukrainian courts in a set of disputes related to the supply of equipment. Dr. Oleksiy Feliv, partner, who joined the office from Beiten Burkhardt, is active in both litigation and international arbitration. The practice is overseen by partner Bertrand Barrier. The arbitration practice of the Odessa-based Interlegal is conditioned by the firm’s niche in maritime and shipping. The lawyers represented Phoenix Shipping in arbitration as for port agency fees recovery; acted for Duglas Alliance Ltd in London arbitration contract dispute. GAFTA arbitrations took a substantial part of related caseload. Natalia Myroshnychenko, Artem Skorobogatov, Alexey Remeslo, Dmitry Zagorodnyuk are involved in recent projects. Ilyashev & Partners, the leading dispute resolution Ukrainian firm, is known for international arbitration and enforcement of foreign judgments in the country. The firm handled representation of BTA Bank in ICAC regarding collection of assets of the Ukrainian guarantors. 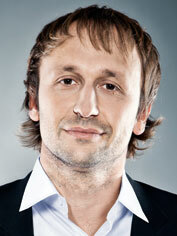 Dmytro Shemelin, who obtained considerable experiencein Grischenko & Partners, is a recent arrival. 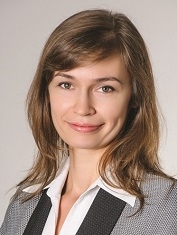 In 2014 Olga Dmitrieva, managing partner of Dmitrieva & Partners, was included in the list of arbitrators of the Riga International Commercial Arbitration Court. Her team has successfully defended the client’s interests in the High Court of Justice of England and Wales and supports the execution of the decision at the place of location of the defendant in Germany. Dentons, as led by Oleg Batyuk, is regularly instructed for recognition, enforcement of the arbitration award in Ukraine. WTS Tax Legal Consulting LLC, as led by partner Maxim Oleksiyuk accomplished successful settlement of the dispute on recognition and enforcing the final award made by the Vienna Arbitration Center in Ukraine.